North Texas is experiencing a grave shortage of nurses in the order of lacking 70,000 qualified nurses by 2020. At JHG Texas, we are committed to help by providing scholarships for qualified individuals in the North Texas region. A shortage of 500,000 nurses is projected in the United States by the year 2021 and the Texas Workforce Commission predicts a shortfall of 70,000 nurses in Texas by the year 2020. This shortfall is described in the news media as catastrophic. One reason for the shortfall is that only 30% of Texans have university degrees, while a Bachelor of Science degree in nursing is required for certification as a Registered Nurse. However, many qualified students simply cannot afford the cost of nursing studies at University level. 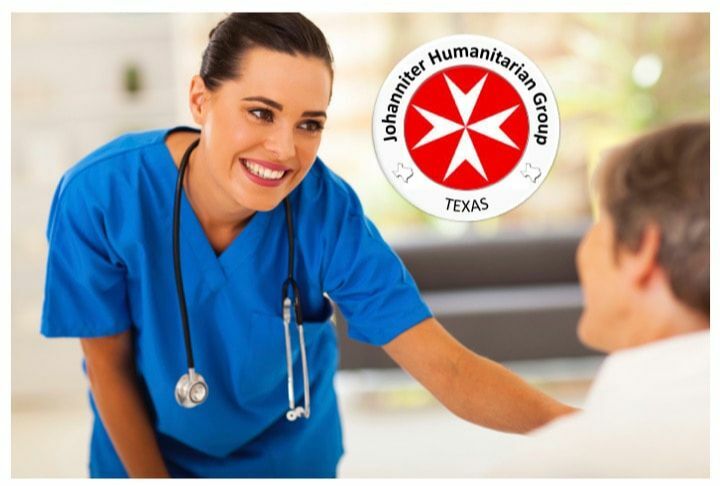 Based on our over 900-year tradition as Hospitaler Knights and in response to the growing nursing shortage, JHG Texas Nursing Scholarships help increase the number of registered nurses in Texas by supporting financially needy nursing students who would otherwise be unable to afford the cost of attending nursing school. By doing so, we believe that we can attack two problems at once: we can help to make more qualified nurses available in the North Texas region and, secondly, we can ensure that qualified, hard-working individuals who may not otherwise have the means can still enjoy an education in a field that they love. At DCCCD, 63% of students come from households earning less than 80% of median family income. The DCCCD nursing school program awards an average of 400 nursing Associates Degrees annually. Moreover, a recent change in Texas legislation enables DCCCD to increase the number of graduates with a four-year BS in nursing in the near future. At the highly ranked Texas Women’s University College of Nursing in Dallas, which offers a Bachelor of Science degree in nursing, 34.6% of nursing students come from extremely low-income families, and an additional 20.9% are from low-income families (55.5% combined). The fees and tuition cost of attendance per 15 hours semester at TWU is approximately $5,400. More than half of their nursing students need financial assistance! ​Beyond fostering the education for nursing students who may not otherwise be able to afford it and helping to bring more nurses to North Texas, we believe that the support we provide greatly helps the confidence and self-reliance of nursing students.